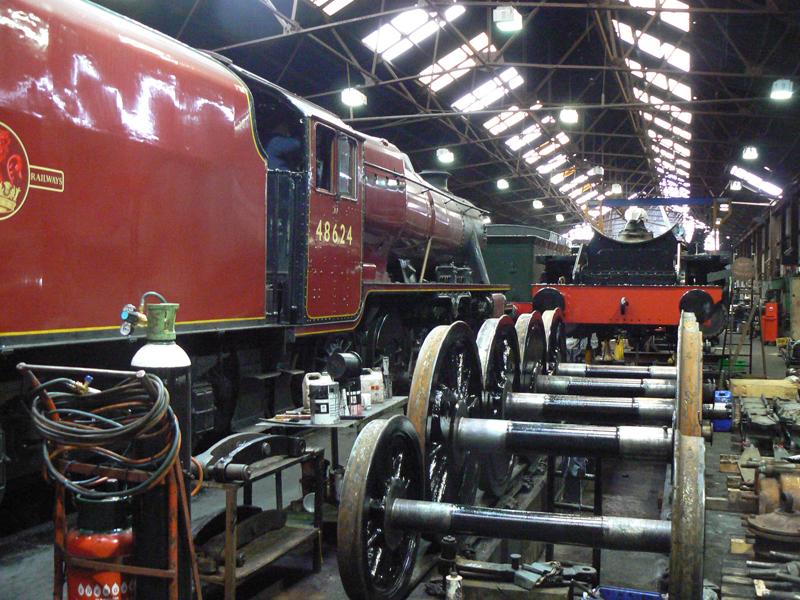 Volunteer members of the Boscastle team will be offering informative tours of the Loughborough Locomotive Shed on Saturday 13th and Sunday 14th April. The tours will begin at 10 30, 11 00, 11 45, 12 45, 13 30, 14 15 and then, as guides are available, up to 15 30 & 1615. Party size is limited at the discretion of the guide. Please assemble outside the loco shed door and await guide. Tours last approximately half an hour; please allow 10 minutes to walk to the shed prior to the tour and 10 minutes to walk back again. 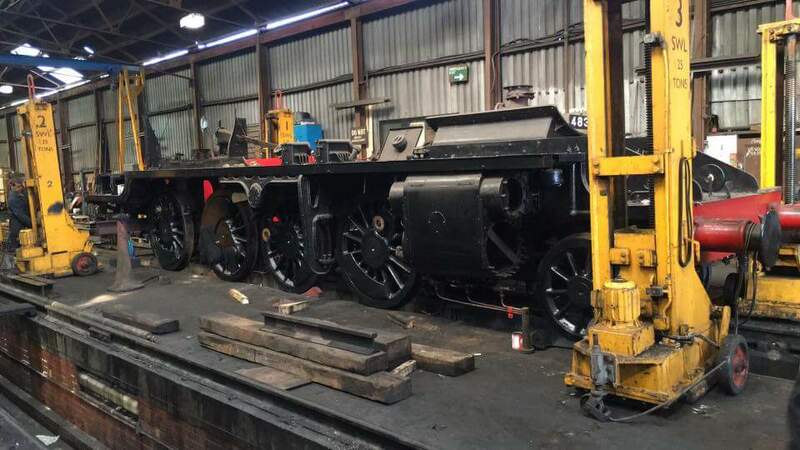 YOUR CHANCE TO SEE RESTORATION, OVERHAUL AND REPAIR WORK IN PROGRESS AND HEAR ABOUT THE PLACE OF 'BOSCASTLE' IN THE STORY OF THE GREAT CENTRAL RAILWAY. 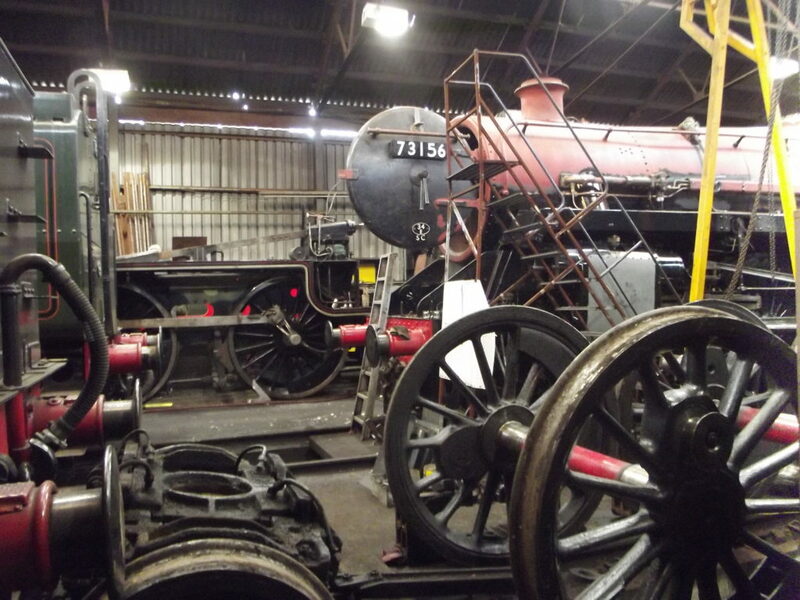 There is no charge for the tour, but donations towards the overhaul of Rebuilt 'West Country' Class 4-6-2 no. 34039 Boscastle will be much appreciated - especially in view of the major work needed on the firebox. PLEASE NOTE: Visitors are required to be in possession of valid GCR travel tickets or platform tickets. Tours are not suitable for children under 6, or for pushchairs. All locomotives and attractions appear subject to availability. Great Central Railway reserves the right to amend or cancel any service.